Why Go To Mickey’s Halloween Party? – Because It’s So Much Fun! 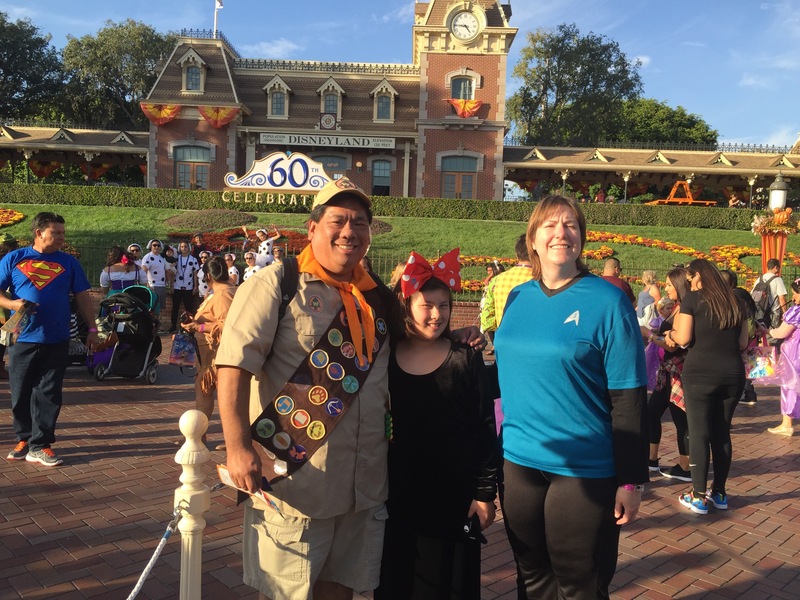 Trick-or-treat IN Disneyland? You bet! Once again, Mickey’s Halloween Party at Disneyland is almost sold out, even before the first event. And prices continue to go up each year as the party’s popularity increases. Just two years ago, prices were only between $77 and $84 and now it’s nearly $20-40 MORE! But even for the increase in price, even as crowded as it can be, it’s still one of the best values you could ask for at a theme park. 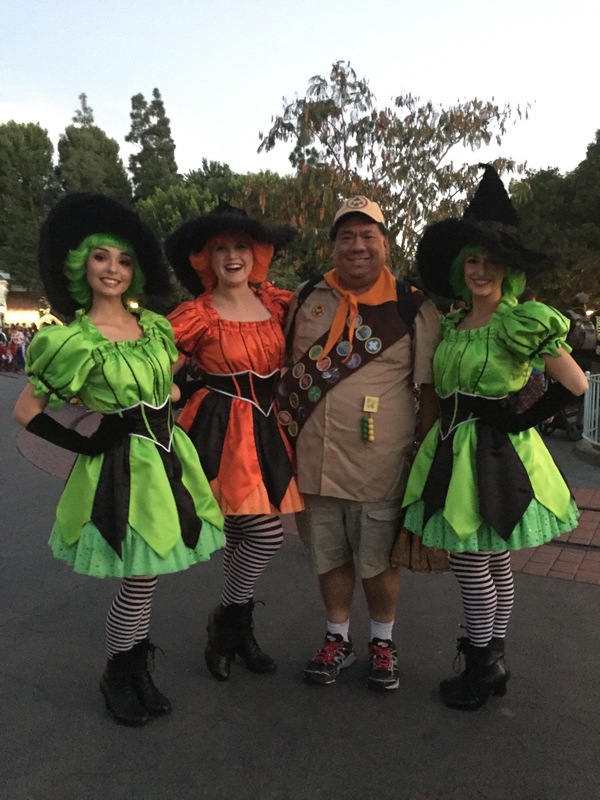 Not only is it one of the rare times you can enter the park in costume, but also have the chance to “trick-or-treat” throughout the different lands. And the candy and treats Disneyland offers aren’t cheap candy like Smarties or Tootsie Rolls (although I think some stations do have them). They give you the good stuff like Kit Kat and Butterfinger and Snickers. Craig’s Favorite: Short wait for almost any attraction plus admission to BOTH theme parks! But that’s only part of the treat you get when you attend a night of Mickey’s Halloween Party! You can also enjoy the special Halloween-only merchandise, attractions, and goodies that come out during Halloween-Time. There are special souvenirs brought out only during the party. And this year, they are including souvenir Disney Photo Pass photos as part of your ticket package. Plus, you can enter the BOTH parks 3 hours before the event to take advantage of food, attractions, and early shopping! That means you can (try) to ride the revamped Guardians of the Galaxy: Monsters After Dark attraction while visiting Cars Land’s Haul-O-Ween to ride Mater’s Junkyard Jam-BOO-ree or Luigi’s Honkin’ Haul-O-Ween. With the exception of Haunted Mansion Holiday and to a lesser extent Space Mountain: Ghost Galaxy, the lines for all the attractions have been pretty short in the past. When we went last in 2015, we were able to go on Matterhorn, Space Mountain: Ghost Galaxy, Buzz Lightyear’s Astro Blasters, and Big Thunder Mountain in a little over an hour – those same four rides would have taken at least three hours during non-peak hours on a normal day. Haunted Mansion Holiday is extremely popular and seemingly more crowded than normal during the party, especially with fans of Nightmare Before Christmas. This attraction more than any other draws huge crowds. 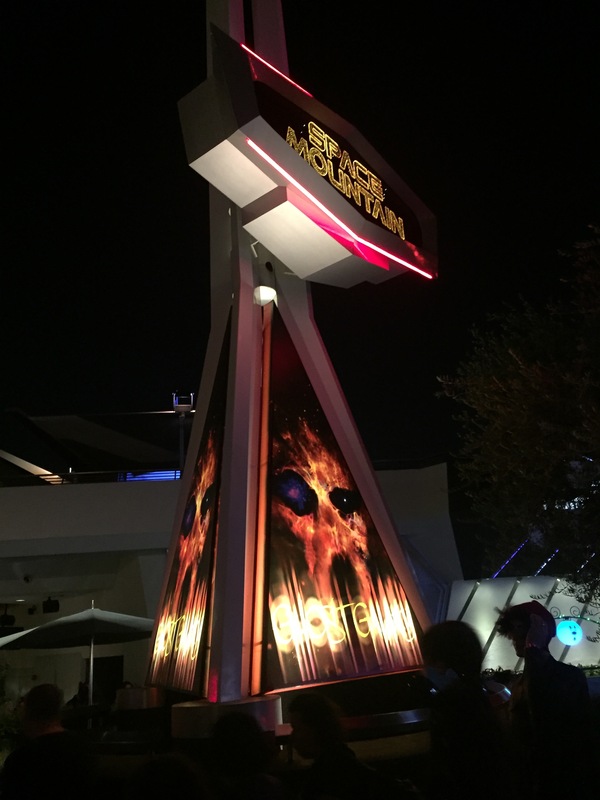 And Space Mountain: Ghost Galaxy has a special themed overlay only available during Halloween Time. But treats and attractions are only part of the fun. 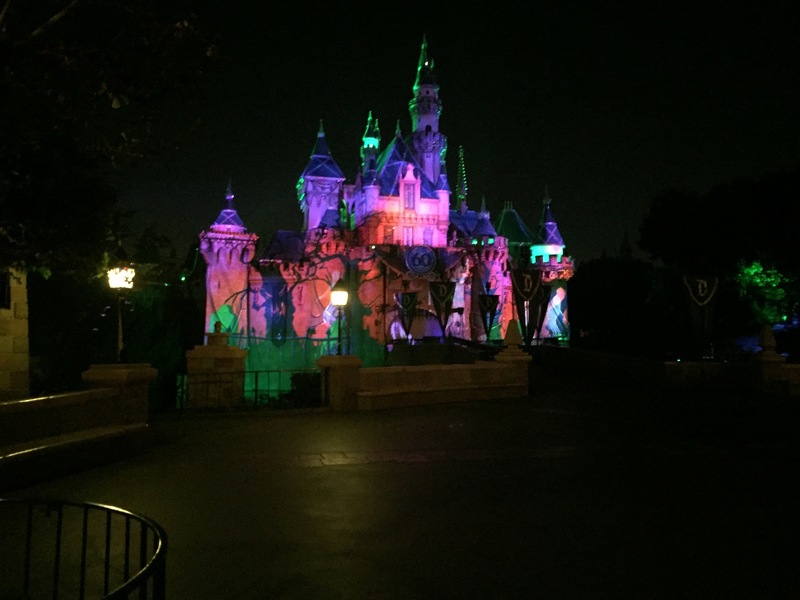 Disneyland puts on a special Halloween fireworks show, and this year they also have a special Frightfully Fun Parade just for party guests. If you want special reserve seating, you can purchase a “party-only” dining package at none other than Blue Bayou. For $69 per adult and $29 per child, you are given a three course prix-fixe dinner with starter, entree, and dessert. When you finish your meal, each person is given a ticket for a special reserved viewing area for the parade. There is so much to see and do at Mickey’s Halloween Party, you’ll be sure to have a blast. That’s so cool! Glad you enjoyed it. What did you guys dress up as? Previous Previous post: Guardians of the Galaxy Breaking Ground and Breaking Out!